Games that actually make you sit back and ponder about the results of your actions are a rare treat. Like Mass Effect 3. TAAAAAAAAAAAAAAAAALI! The latest Deus Ex game however, seems to be interested in getting a handle on your feelings, and it has a plan to do so. A plan that involves thrusting the player into a world where having kickass augmentations has created a segregated population with a heavy-handed police state as a side dish. And that has developer Eidos Montreal a tad bit worried, to the point where they’re testing the story on their QA department. “We have playtesters coming in and kind of gauge their reactions,” producer Olivier Proulx said to GamesRadar about the more complex moral themes that are present in the game. We look at how they approach different environments, how they explore it, but after they’re done with the specific map it’s not just ‘did you have fun with it?’ – that’s a component, but we ask what they felt, what they understood of the storytelling aspect of it, to make sure our message comes through. It’s not about any in-game censoring then, but finding the best possible way to present more mature themes and ideas to players then, as Proulx called series lead Adam Jensen a “stranger in a strange land”, a protagonist who didn’t fit in with either side of the augmentation divide. That outsider approach however, would allow Jensen to be influenced or to impart said influence on either side of the game. A fact which makes information a very important factor in Deus Ex Mankind Divided. “As a player, you’re given the opportunity to act as you want – and it’s reflected in how people talk to you and how the story comes through,” Proulx said. We put tonnes of details into the game, sometimes things players may not even see, but for us it’s important that we tell our story in different ways. A bigger focus on humanity and the repercussions of your decisions having higher stakes? I totally asked for that. 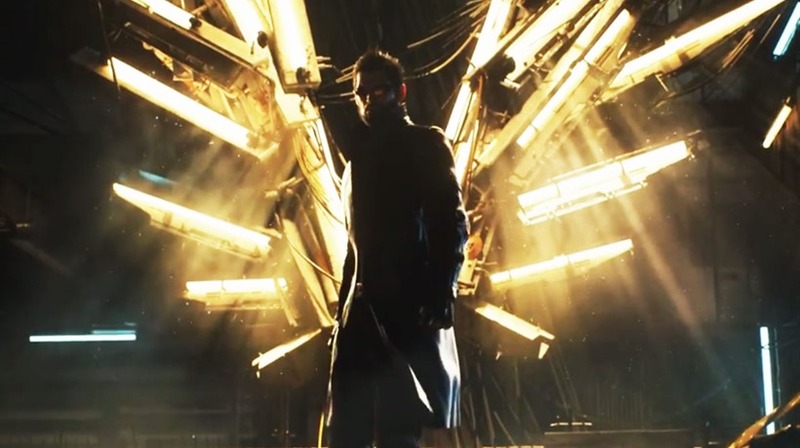 Deus Ex Mankind Divided is out next year. I’ll be making catastrophically horrible choices on purpose when it comes out.